Let's all take a little stroll down memory lane with the promo for pilot episode of what was supposed to be Saban's next hit series featuring Jason David Frank as the main hero, Cybertron! 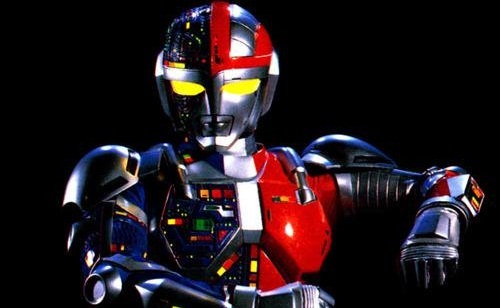 Fast fact, this was Saban's first take on the Metal Hero franchise after their successful franchise, Power Rangers, in which they used the clips from Chojinki Metalder and JDF took the role of Adam Steele. The show was later made into VR Troopers where other Metal Hero shows where used such as Jikuu Senshi Spielvan and Uchuu Keiji Shaider with Brad Hawkins (who was supposed to be the White Ranger in season 2 of MMPR) took the lead role.